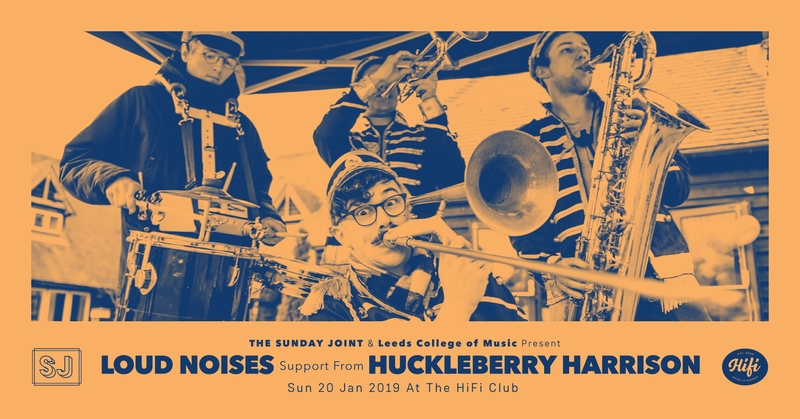 For our first date in 2019, on 20th January, we welcome Huckleberry Harrison to support Leeds-based brass kings Loud Noises. We spoke to Mr. Harrison to find out a bit more before his set. I have been making music on my own for as long as I can remember but in 2015 I decided to try something a bit more serious and put music out under ‘Huckleberry Harrison’. There’s been a couple of different incarnations of the band with different members, but this 2019 line up is the strongest its ever been. We’re all good mates and playing with the guys (Christian Garland, Simon Johnson, Louis Tooth and Josh Huggard) is always really fun. I usually boil it down to indie-pop or indie-funk, but as a band we try to stay away from genres. We want to keep it all pretty organic, I just write whatever sounds good to me and then work out the meaning later on once I’ve brought in my idea to the band. The sound normally stays pretty guitar-based because that’s all I really know how to play. I wish I did have a clear vision haha, everything can get pretty murky at times. 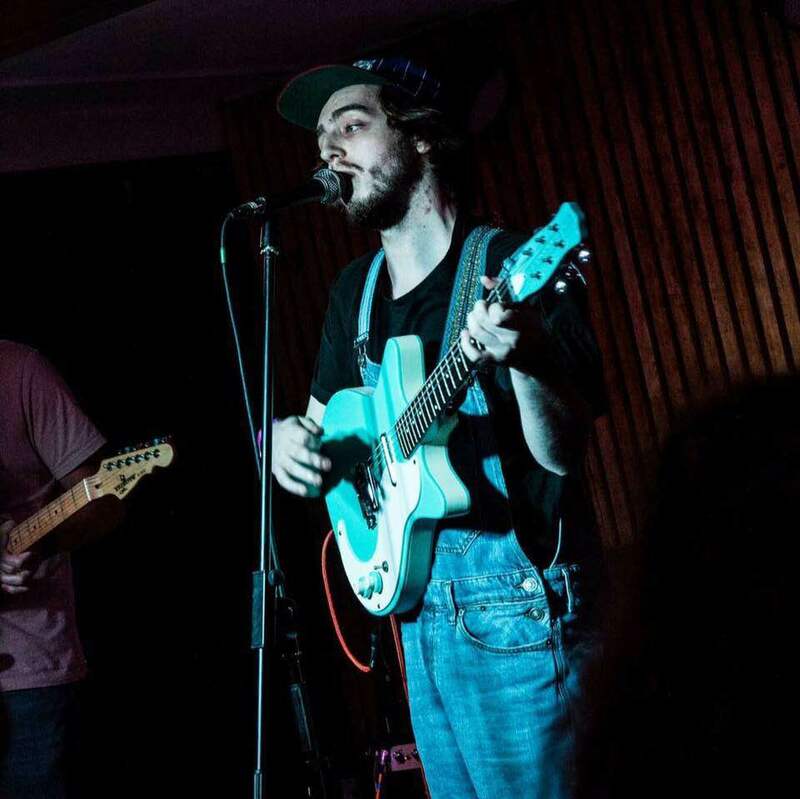 We’ve achieved some great things like recording my debut album in my bedroom, playing gigs in venues that I love and recently recording a brand new EP that I’m really proud of. I just hope to keep the ball rolling for as long as we can and keep making music that the people around me enjoy. Its just so big! I’m from a small town in Suffolk, so to be thrown into a huge thriving city of all different and creative people is just great. I’ve met so many fantastic people and theres always gigs on and I try to go to as many as possible. So I’m on songwriting, Christian is on pop bass, Simon is on pop drums and Louis and Josh both are studying production. On the whole, we all love LCoM and it is a really cool place to meet musicians. Without LCoM, I think its fair to say that ‘Huckleberry Harrison’ wouldn’t be the same as it currently is. I’ve kind of learnt a lot of general things, like opportunities aren’t going to just show up, you have to look from them, and like, its okay to ask people for help because 9 times out of 10 they probably want to help you any way. I take a lot of inspiration from the music of the 70s. I have a Spotify playlist called ‘Dad Bangers’ and it’s so good. Harry Nilson, Leo Sayer, The Doobie Brothers, etc. I also really like anime and the storylines can definitely inspire my songs. It has to be Matt Corby when he played at Norwich Arts Centre in 2013. I went with my brother and his musicianship is just crazy good. Can’t wait to go see him again at Church later this month. Probably waking up with my girlfriend, lazing around all day and playing the Playstation together. Maybe a roast dinner as well. That sounds pretty good.